Kalamazoo, MI: On Thursday, August 9, 2018, at approximately 1 A.M., Kalamazoo Public Safety officers responded to the area of South Pitcher Street and East Walnut Street for a report of a robbery. A Kalamazoo resident was walking in this area when he was confronted by two male suspects who struck him with an object and robbed him of his wallet at gunpoint. The suspects then fled on foot. A police K9 was utilized for a track and a perimeter was established. Perimeter units contacted three subjects but it is not confirmed at this time if any were involved. The victim was treated and released at a local hospital for facial injuries. 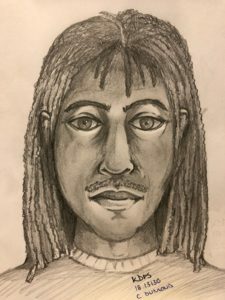 The suspects were described as two black males in their teens to early twenties, thin build, one with shoulder length braided hair. Both were wearing blue jeans, Nike style white shoes, and t-shirts. One had a white t-shirt and one wore a black t-shirt. The male suspect with the long braids was armed with a silver semi automatic pistol. They were last seen fleeing on foot in the 600 block of East Walnut Street. 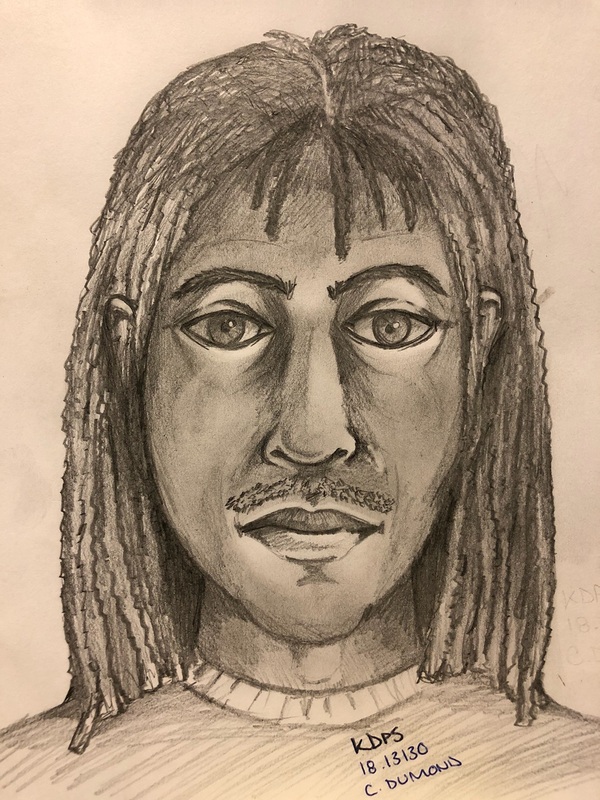 A police sketch artist was utilized to form a sketch of the suspect armed with a pistol. The sketch is attached to bottom of this release.